This event is closed, but you can check out the 2017 Night in the Tropics listing here! Say hello to an island escape at the National Aviary! All guests can enjoy FREE parking at Rivers Casino, with free party bus service to and from the party throughout the night. Join the After Party at Rivers Casino's Levels and Drum Bars! VIP Ticket holders receive complimentary Valet. Just show your ticket to the attendant when you arrive! The evening will heat up as hula dancers transport guests to a distant paradise, and exotic fire performers keep things hot into the night, all compliments of Tuika's Polynesian Island Magic. Live music by The Lava Game and entertainment by DJ Loyal will ensure the celebration never stops! Plus, enjoy the exhibits at night along with exclusive up-close interactions with beautiful, rare, and exotic live birds not regularly seen on exhibit. In signature fashion, Night in the Tropics tickets include beer, wine and specialty drinks, plus tasty bites from more than 30 well known Pittsburgh restaurants and bakeries. Don't miss your chance to bid on exciting and unique auction items, including a live one-of-a-kind mural created by Maria DeSimone Prascak of Maria's Ideas! Enjoy interactive entertainment throughout the night from Shutterbooth, presented by Trib Total Media, Painting With a Twist, Massage Envy, and more! 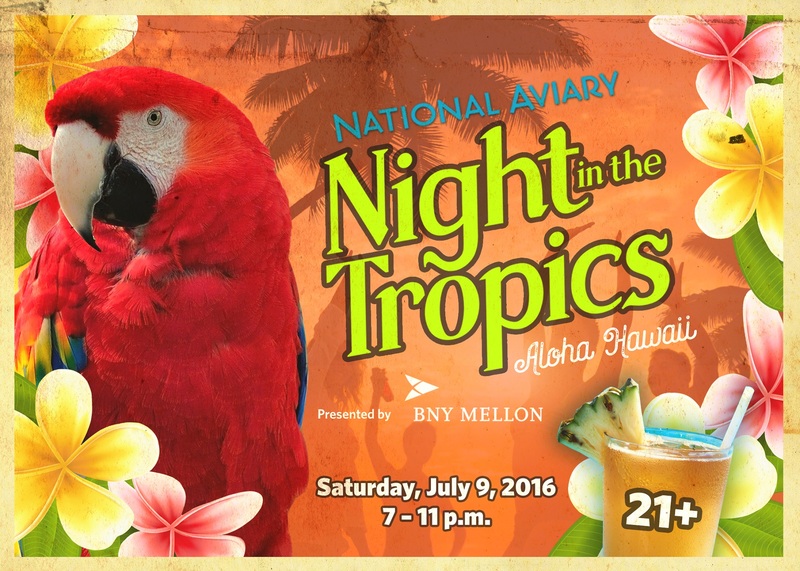 All proceeds from Night in the Tropics support the National Aviary's education, avian medicine, and conservation programs both locally and internationally. Grants early access at 6 p.m., free valet parking, VIP tent and entertainment, exclusive food selections, and open bar. Doors open at 7 p.m. Includes beer, wine, signature cocktails, and food. Group Rate: Buy 6+ General Admission tickets and receive a rate of $60/ticket! All guests must be 21 and over, and able to present a valid ID. NO Exceptions. M & J Electric Inc.
Gaitens, Tucceri & Nicholas, P.C.